The Inventory Change Report shows you how inventory has been updated over time for easy high-level audits. You choose the date range, and Shopventory display starting and ending inventory with a summary of all the updates in between. You can click into the Product history for the details. To view your report, simply go to the Reports section in Shopventory and click on "Inventory Change Report". You can customize the start date and end date in the upper right-hand menu. Reports can be filtered by Location in the same section. Reports can also be filtered by Category using the "Filters" button below the summary boxes. 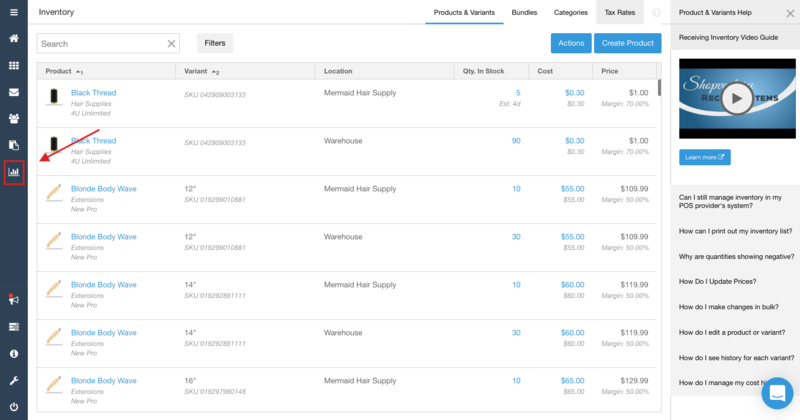 The search box can be used to help you find a specific Product or subset. Inventory totals are broken down by each Variant. Just scroll down to view the full Report in detail. You will notice PDF and CSV options to export just below the date and time selection. Filters that have been applied on the page will be applied on export. A PDF file is a better choice if you prefer to print a hard copy. A CSV file is a spreadsheet file format that is better if you plan to use a spreadsheet program like Microsoft Excel™ or Google Sheets™. The inventory change report is based on lot costs. 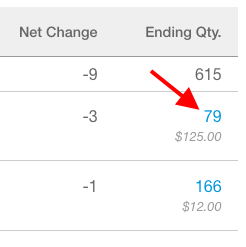 If your Products don't have a dollar value, or your starting and ending values are the same, try the steps in this article. Let us know if you have questions. We are here to help!